During the war, William Lyons would get together with his colleagues to discuss and design a new engine that would go into production once hostilities ceased. This would become the world famous XK engine that would stay in production for over 40 years and be the backbone of Jaguar's success at Le Mans. By 1948 the exciting new engine was virtually ready for production. The designers chose an overhead camshaft layout and after trying several configurations, the final engine was decided upon. It was to be a straight six of 3442 cc and given the name XK. The achieved output was 160 bhp! Jaguar now had an excellent new chassis, a tremendously exciting new engine, but no sports car. So the decision was made to produce a small number of sports cars, which would generate publicity and perhaps gain a few competition successes. The task fell then to William Lyons to design a suitable body in just a couple of months for the 1948 London Motor Show, the 33rd International Motor Exhibition held at Earls Court from October 27th to November 6th. The result on Stand 126 'stole the show'. 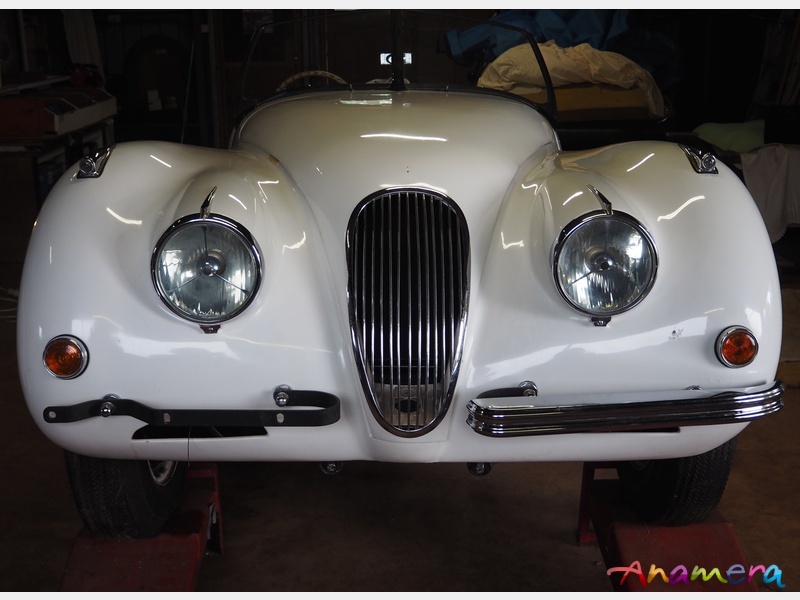 It is listed in the catalogue as the 'Jaguar 6-Cylinder "120" Super Sports' and was known as the XK120. It was refined in the usual Jaguar manner, had unrivalled comfort for such a car, and to top it all, was keenly priced at just £998 (£1,298 with tax). The name was based on the top speed which made it the fastest production car in the world. Indeed at first people were sceptical and refused to believe what was being claimed for the XK120. To convince the sceptics however, some tangible proof of the claimed prowess was needed. Accordingly Jaguar took over a closed section of dual carriageway at Jabbeke near Ostend in Belgium where, in front of the assembled press, a standard XK120 driven by Ron 'Soapy' Sutton proceeded to clock 126 mph. With the windscreen removed 132.6 mph was achieved. The orders came flooding in and Jaguar quickly realised that the couple of hundred originally intended could not possibly meet demand. The first early cars were hand-built of aluminium over an ash frame, but for full production the car had a pressed-steel body with aluminium bonnet and doors. 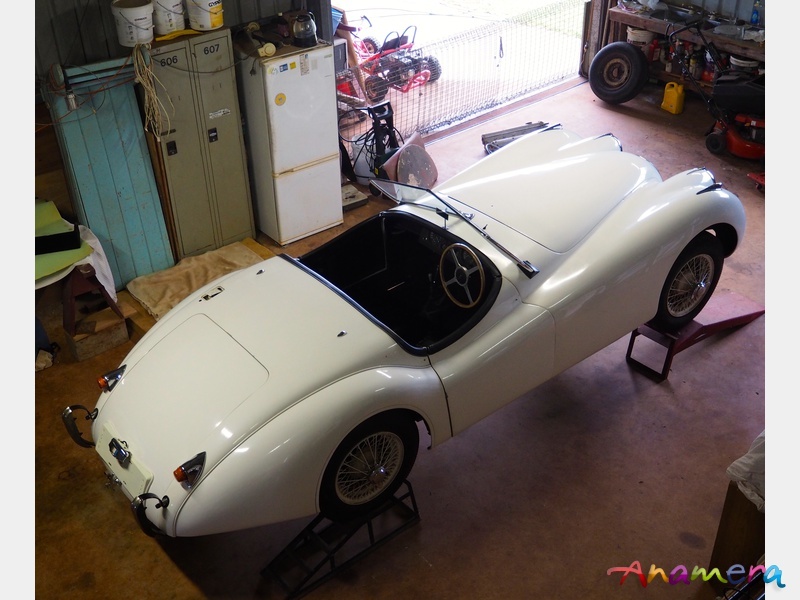 This remarkable example is a long-lost, alloy- bodied Jaguar XK120 OTS. Chassis number 660005 was taken off the road in 1969 by its then new owner. 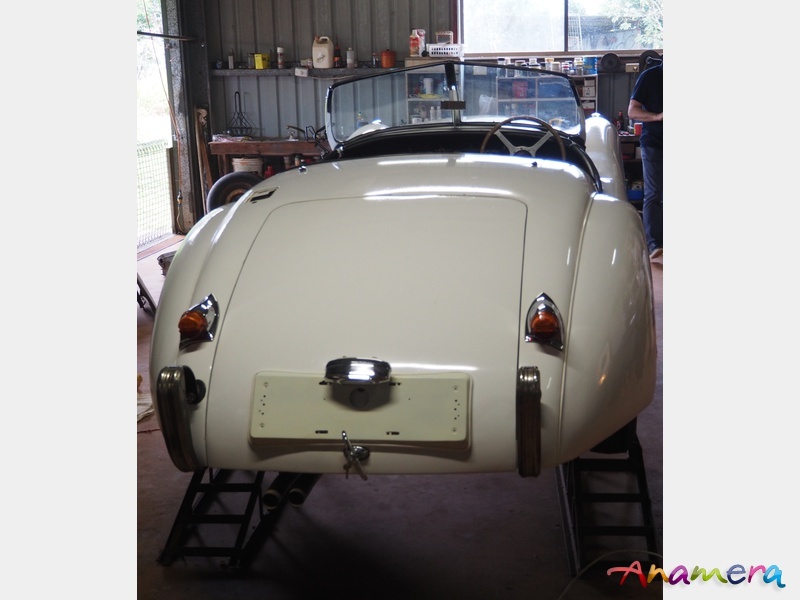 Upon his death some 46 years later the car has now been rediscovered in Far North Queensland in incredibly original condition. 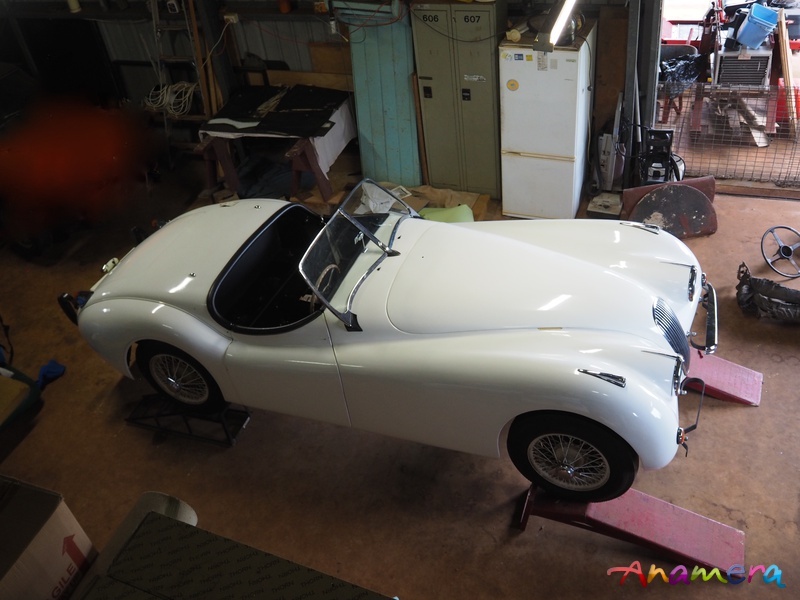 This rare and desirable car with outstanding provenance, which has been 'lost' since the year man first stepped on the Moon is just the fifth right hand drive Jaguar XK120 built and believed to be the third oldest surviving. It still maintains its original chassis, body (number F1015 indicating that this vehicle was just the fifteenth of both left and right hand drive cars made), engine, gearbox, steering wheel, steel wheels, spats and hood and is an outstanding, very rare early example of Sir William Lyons revolutionary vehicle. 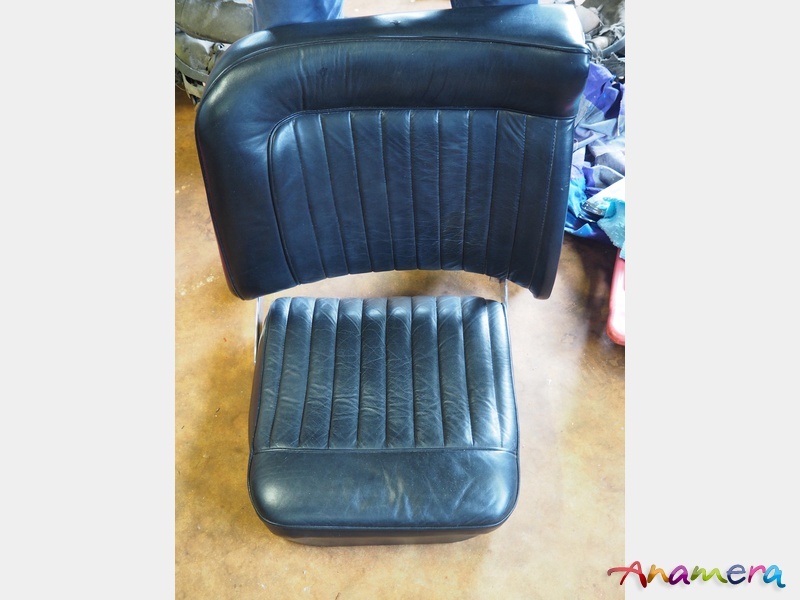 This car has been verified by marque experts who have been astounded by its incredible originality and state of preservation and wonderful condition. Records show it was first despatched to Dominion Motors of Adelaide, South Australia on the 22nd November 1949 and sold to its first owner R.C.Willing in February 1950. It has a Jaguar Heritage Trust Certificate.